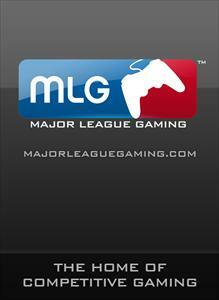 Watch the best games from the first event of Major League Gaming's 2009 season! (Anglais, sans classification) Cet article ne peut pas être remboursé. Pour plus d'informations, voir www.xbox.com/live/accounts. The final stop of the 2006 MLG Pro Circuit was hosted in Las Vegas. It's the Championship match - find out who wins it all! (Anglais, sans classification) Cet article ne peut pas être remboursé. Pour plus d'informations, voir www.xbox.com/live/accounts. The sixth stop of the 2006 MLG Pro Circuit came from New York. This playoff match featured one of the most astounding comebacks in Major League Gaming history. (Anglais, sans classification) Cet article ne peut pas être remboursé. Pour plus d'informations, voir www.xbox.com/live/accounts. Télécharger la bande-annonce. (Anglais, sans classification) Cet article ne peut pas être remboursé. Pour plus d'informations, voir www.xbox.com/live/accounts. The fourth stop of the 2006 MLG Pro Circuit came from Chicago, IL - better known this year as upset city! (Anglais, sans classification) Cet article ne peut pas être remboursé. Pour plus d'informations, voir www.xbox.com/live/accounts.